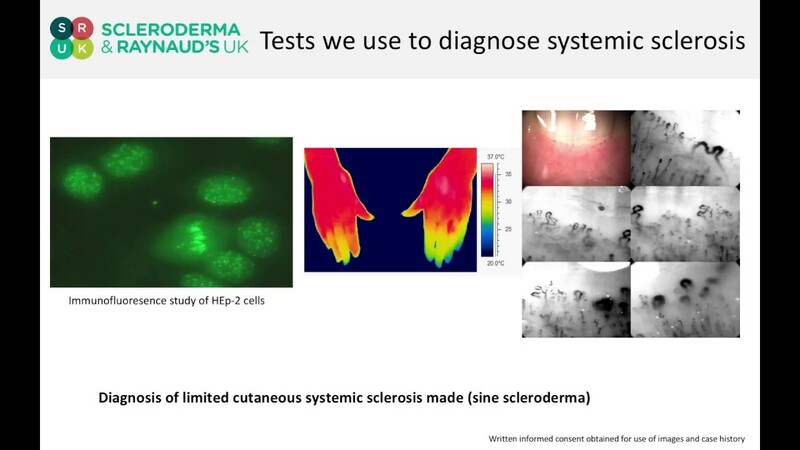 There is not a single test to identify scleroderma and so we need to use several diagnostic techniques to identify the different symptoms. Clinicians then put all of this information together in what Dr. Pauling calls a 'jigsaw' to see the full picture of symptoms and give a diagnosis based on this. So how is scleroderma diagnosed? Well, you will receive blood test or ANA test to identify whether you have autoimmune antibodies in your blood, these antibodies are a type of protein that is produced by your immune system and attack other cells within your body. You will also have a thermography test. This is a functional test to see how the blood vessels in your hand reacts to cold water. The water will be around 15 degrees and you will be asked to place your hands fully in the water for 1 minute. After 1 minute, you will be asked to remove your hands and using a thermal imaging camera the clinician will see how quickly your hands take to warm up. This test helps to diagnosed the severity of Raynaud's. Finally, you will have a capillaroscopy. Your clinician will use a strong microscope to look at the blood vessels in your nailfold, the cuticle/nail bed on your finger nails. This is to look at the structure of your blood vessels and see if there is any damage to your blood vessels. If the blood vessels have wide gaps between them or are broken this is an indication that there may be an underlying condition, such as scleroderma. If you are interested in attending our next annual conference and hear from leading Scleroderma and Raynaud's specialists then register your interest online. Each year the conference programme is designed around our attendees, with the latest medical and research advancements being showcased along with topics that our attendees want to hear about. 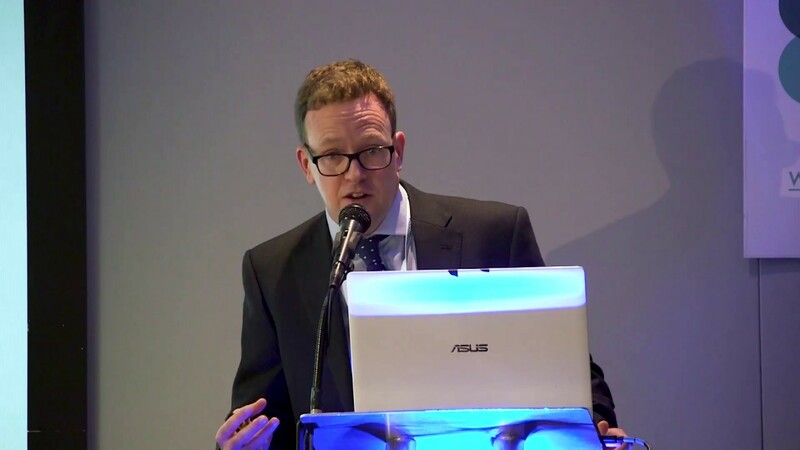 Dr. John Pauling, Consultant Rheumatologist at the Royal National Hospital for Rheumatic Diseases (RNHRD), Bath presents on what the 9 tests are. Help us understand more about the causes of scleroderma and donate to SRUK. 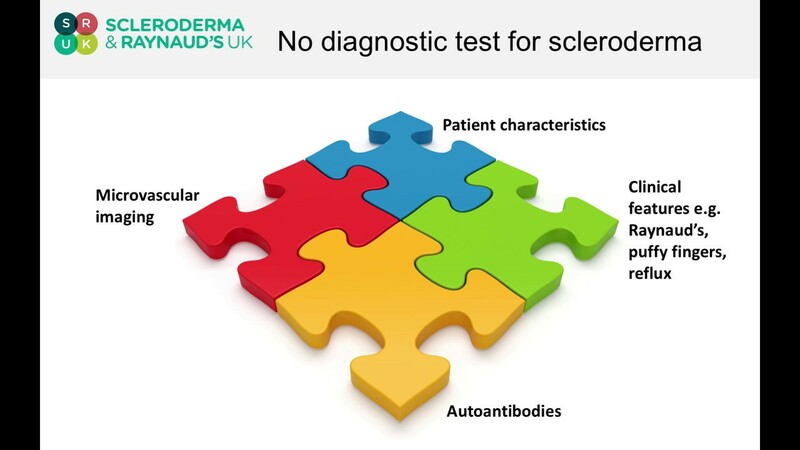 Find out what Prof Chris Denton said about auto-antibodies and their link to scleroderma.